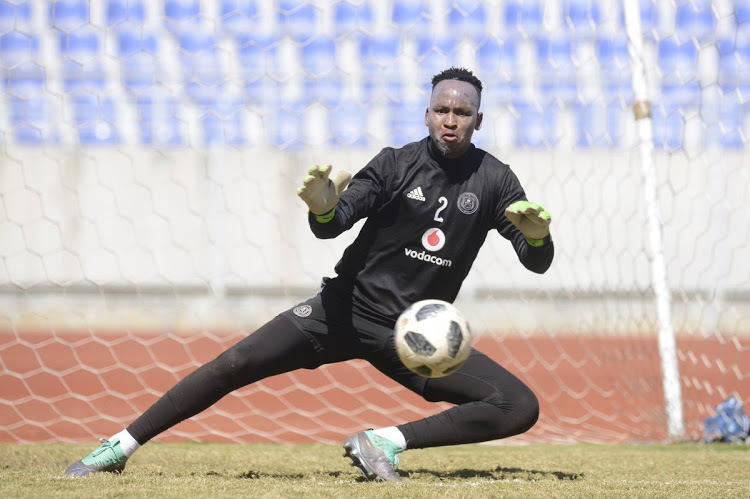 ORLANDO PIRATES goalkeeper Brilliant Khuzwayo could make his long-awaited return from injury this weekend after being passed fit to face Chippa United in the Telkom Knockout Last 16 on Saturday night. Back from injury Bucs new goalminder Brilliant Khuzwayo. Khuzwayo arrived from Kaizer Chiefs at the start of the season but has not played a single minute for Pirates after an ankle injury kept him on the sidelines. 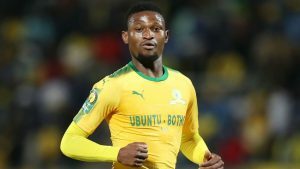 But coach Micho Sredojevic has confirmed that the 28-year-old is not fit and will compete with Siyabonga Mpontshane, Jackson Mabokgwane and Wayne Sandilands for a starting place. “We are happy that we have four goalkeepers now that are competing for a place in the side and he is in contention,” Sredojevic said. The Telkom Knockout gives the Serbian coach a chance to win a first piece of silverware at Pirates, but he says he is only focused on Saturday’s clash with Chippa and is not thinking beyond that. “Any new competition is a new chance to start afresh. We want to give performances and results in terms of our ambition, we want to win. Pirates have lifted the Telkom Knockout trophy just once in their history, in 2011, despite eight previous final appearances. Meanwhile, Mamelodi Sundowns assistant coach, Manqobe Mngqithi has admitted that it has been challenging trying to prepare for their domestic campaign while their key players were away on national team duty. International fixtures might have affected the readiness of players’ such as Downs’ Motjeka Madisha, and according to assistant coach this might be a problem as they prepare for Telkom clash against Siwelele. Hlompho Kekana, Motjeka Madisha, Toni Silva, Denis Onyango, Kennedy Mweene, Lebohang Maboe and Phakamani Mahlambi have all been away on national duty representing their respective countries in the 2019 Africa Cup Of Nations qualifiers. Speaking ahead of Sundowns’ clash with Bloemfontein Celtic in the Telkom Knockout competition, the Sundowns assistant coach admitted to the team’s challenges in the past week. “The fact that we’ve not had our internationals for this long, it obviously does have a negative effect on the team considering that we are preparing a team that is most likely not going to start the match, I’m not saying that everyone isn’t going to play but when you’ve got five of your key players out on national duty, then obviously you can not just throw them away and continue,” Mngqithi told the media. “So that really has an effect on us but it is when you are coaching a big team like Sundowns you must expect it, you cannot complain and say the players are with the national team because that is what you want to have anyway,” he added.